These days the mini versions of big flagships are taking the cake. Since they are more reasonably priced with comparable specs, people are happy in buying them. The dynamics of smartphone competition has completely changed in the last couple of years. Instead of main flagships going head to head, there are now the mini versions having a battle of their own. These mini phones are quite exceptional too, you would know if you are a smartphone fan. The two latest smartphones that are expected to be engaged in fierce horn locking are: Galaxy S5 mini and HTC One mini 2. The biggest catch in buying mini phones is affordability – they are smaller in size, slightly lesser in specs; however the mini phones provide great technological value. One mini 2 has a 1.2 Ghz quad-core Snapdragon 400 processor while 5S mini is powered by a larger 1.4 Ghz processor. Although there is minor difference between processors but in real time processing, every expert would agree that it doesn’t make any difference. So the fair judgment would be that the two devices are fairly even on the processing front. Again, difficult to pick between the two here; both screen sizes are 4.5 inch beauties with 1280 by 720 pixel resolution (beat that iPhone, ha!). The screens of both phones are quite exceptional, one has to say. They are also very identical. The difference is that Galaxy 5S mini is using Super Amoled technology while One Mini 2 has Super LCD2 technology – based on your experiences, you may decide which one you’ll pick. On the design front, One Mini 2 takes the cake. It has aluminum chassis, which is absolutely delightful to look at. The Galaxy S5 Mini has the same old plastic body that S5, which is pretty ordinary. Some people have criticized Samsung for not using their resources and prowess to innovate on their designs. I’d say it is a valid criticism. The lack of designing brilliance gives S5 Mini the weight advantage. Naturally the plastic is lighter than metal. Therefore, S5 Mini is about 17 grams lighter than its rival. One Mini 2 is weighed at 120 grams – slight but considerable difference when it comes to smartphones you wish to carry around in your pockets. However, we will have to tilt back to One Mini 2 when it comes to size. One mini 2 measures at 137.4 x 65 x 10.6 mm while Samsung Galaxy S5 is measured at 131.1 x 64.8 x 9.1mm – which makes One Mini 2 somewhat larger device. But the question is, is bigger always better? Most smartphone users think so but if you are one of those who don’t then you might side with Galaxy S5. HTC One Mini 2 has a spectacular 13 megapixel camera (5 megapixel on the front) that would make any premier smartphone flagship proud. However there is no UltraPixel technology like One M8, which is a bit of a letdown. Compared to this, Samsung offers 8 megapixel camera with 2.1 megapixel on front. I’d pick HTC One Mini 2, due to camera and optic reasons. However both devices are top-notch and will give you tough time in chosing. Guest article written by: Nuur Hasan is a software developer. His interests include gadgets, technology, mobile phones, apps, social media and other things that are related. He believes that sharing experiences can really make a difference. That is the reason why he blogs in his free time. The stupid black bar above the screen on samsung phones also contains the phone speaker, light sensors, and the front camera. so your point is invalid. the point being made is that the htc black bar literally is useless. doesnt need to be there for any practical purpose. Their is no comparison between Samsung and HTC because Samsung only increase size and camera Pixels rest of features are same in all sum sumsung mobiles. where as HTC Camera and screen resolution is Great in compare to Samsung mobile. I hate Samsung because we can’t use Samsung mobile in Sunlight. Good comparisson in these two mini smartphone. the specs is pretty similar but i would prefer to buy HTC one 2 mini too cause their cases using metal and it makes the phone more elegant. and samsung still use a plastic which make that phone looks like cheap smartphone. I prefer HTC Mini. It has good camera, stylish design as you said. but processor is a little bit slower. Let us see the reviews. Thanks for sharing informative post. Samsung S5 mini and HTC One mini2 both are superb! 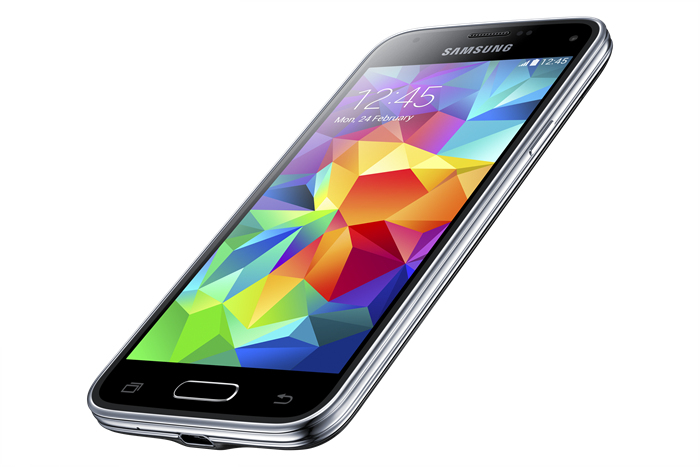 smartphone but mostly like the Samsung S5 mini. Samsung S5 mini beat the HTC one mini 2 in performance.